Bear’s life changed when he joined the pack at Camp Senior 5 or 6 years ago. He quickly won the heart of his mom and the entire pack. Even as a big lab with a large block head, he could wiggle his way into tiny spaces as easily as he could wiggle his way into your heart. After being neglected, he was surrounded by nothing but love and this big “Teddy Bear” will be missed by his mom and his entire pack. They are lost without their brother. 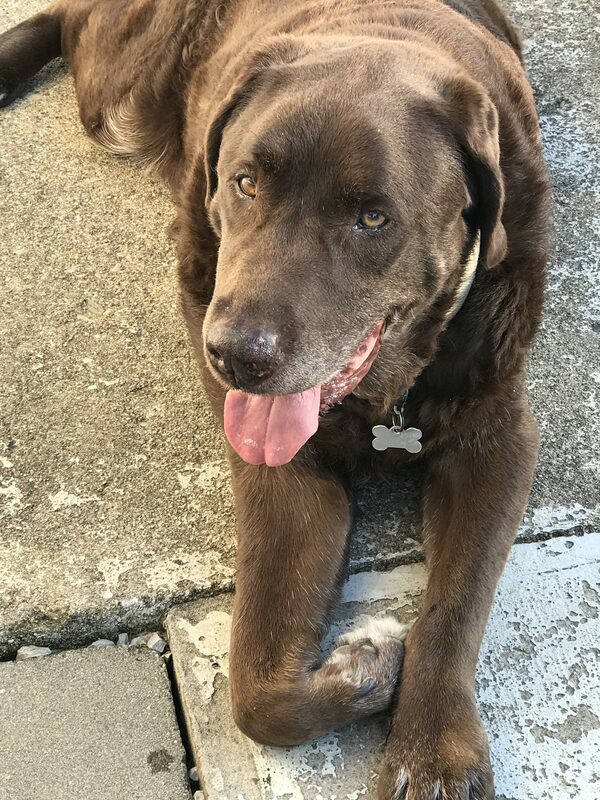 Bear was the sweetest, most gentle dog who easily became a loving part of the family. He would welcome and help train any new canine visitor that came to Camp Senior, knew his role, and never failed at his task. Now, he can run free with no pain. Although we miss you now, Bear, we’ll see you at the Rainbow Bridge. RIP Sweet Boy.